Think about the clothes you save–what are they? Chances are your family saves things like wedding dresses, christening gowns, military uniforms and other fancy or formal attire. These get handed down for a few generations (maybe) and sometimes are eventually donated to your local museum. Museums are happy to have these items. Clothing collections help illustrate styles over the years, fine local or regional craftsmanship, and even changes in textile manufacturing. However, what many museums end up with is a collection of formal and fancy attire. That’s fine but it also doesn’t allow us to illustrate how many people spent most of their lives–working. We just aren’t inclined to save the outfit we wore while we were a waitress in the 1980s, a mechanic in the 1950s, or a housecleaner now. We’re also not very inclined to save the clothes that we lounged around the house in. 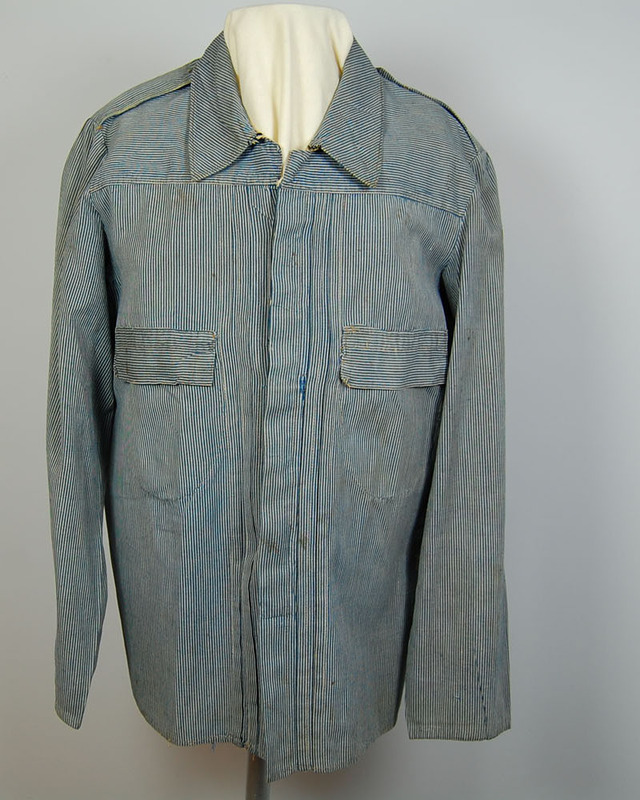 Granted a “cowboy” outfit worn by a Roy Rogers-type person is fun to look at, but wouldn’t the outfit of a real working cowboy tell a fabulous story? This is why I like this shirt. 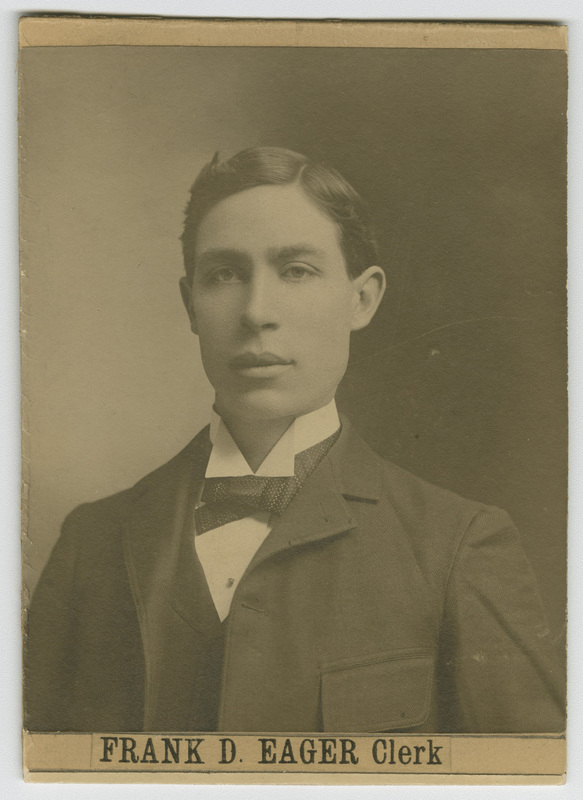 Frank Eager was born in Lincoln in 1872 and graduated from the University of Nebraska. During his time at the University, he was nominated as the highest ranking cadet officer by John J. Pershing. He was admitted to the bar in 1896 but rather than practicing law, he published the Lincoln Independent, a newspaper that supported the Populist Party. In 1897 he was chief clerk of Nebraska’s House of Representatives and Secretary of the Populist Party. In 1898 he entered the First Nebraska Infantry and served as Captain of Company in the Philippines. He served through 23 battles, attaining the rank of Colonel. He was severely wounded at Calumpit, Luzon, in 1899 and received the Purple Heart and Silver Star for his service. Upon his return, Eager became involved in real estate and investments, primarily in Lincoln. He died in 1960.